Copper species immobilization in hollow rectangular-sectioned microtubes of polypyrrole (PPy) electrosynthesized on 316L stainless steel was carried out using two different methods. One of them involved the immobilization after the PPy electropolymerization and the other one during the electrosynthesis process. The electrodes modified with copper species were rotated at different speeds in well water under open-circuit potential conditions. The release of copper species from the PPy matrix and the antibacterial activity against Escherichia coli were analyzed. The obtained results demonstrate that the amount of copper species released as well as the bactericidal effects against E. coli increases with rotation speed. The PPy coating modified with copper species after the electropolymerization reaction exhibited the best performance in terms of antibacterial activity and corrosion protection. These electrodes were tested in a lab-scale continuous flow system for well water disinfection. The financial support of the Universidad Nacional del Sur (UNS), Consejo Nacional de Investigaciones Científicas y Técnicas (CONICET), and Agencia Nacional de Promoción Científica y Tecnológica (ANPCYT) is gratefully acknowledged. World Health Organization (WHO) (2003). Water sanitation health. 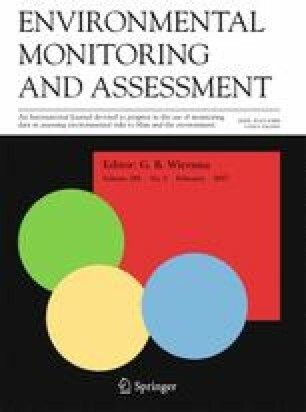 Assessing microbial safety of drinking water. Chapter 1. http://www.who.int/water_sanitation_health/dwq/9241546301full.pdf. . Accessed 05 April 2016. World Health Organization (WHO) (2013). Media centre. Diarrhoeal disease. Fact sheet no. 330. http://www.who.int/mediacentre/factsheets/fs330/en/. . Accessed 05 April 2016.